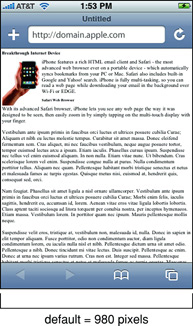 sam 发表于 2011年7月22日 & 归档在 HTML, Web. 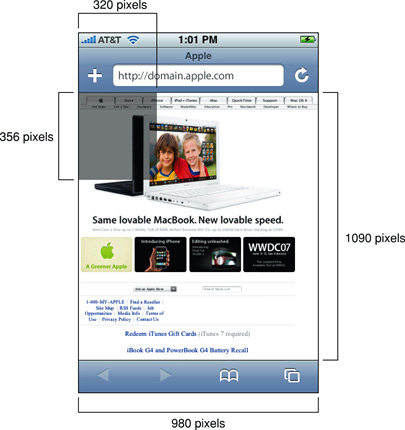 Read “Layout and Metrics on iPhone and iPod touch” to learn about the available screen space for webpages on small devices. 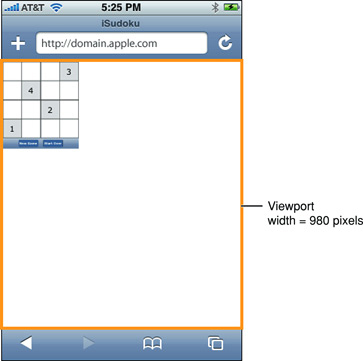 Read “What Is the Viewport?” for a deeper understanding of the viewport on iPhone OS. 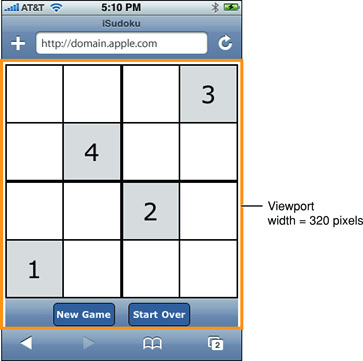 Read “Default Viewport Settings” and “Using the Viewport Meta Tag” for how to use the viewport meta tag. 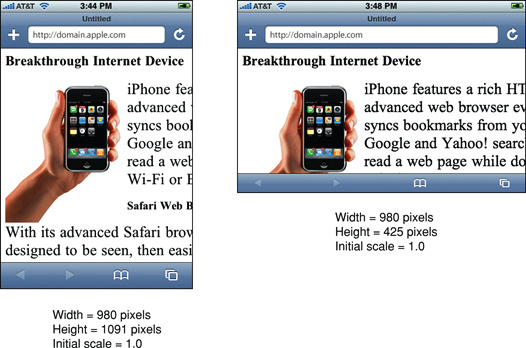 Read “Changing the Viewport Width and Height” and “How Safari Infers the Width, Height, and Initial Scale” to understand better how setting viewport properties affects the way webpages are rendered on iPhone OS. 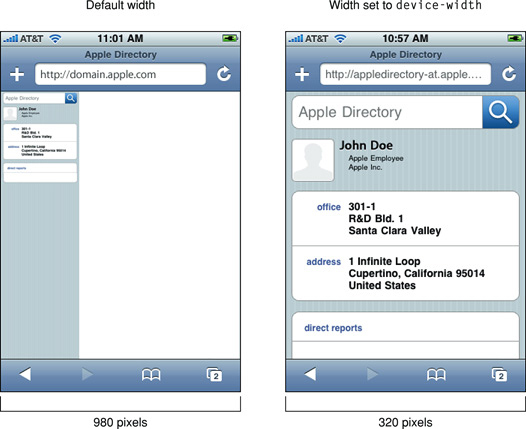 Read “Viewport Settings for Web Applications” if you are designing a web application for iPhone OS. 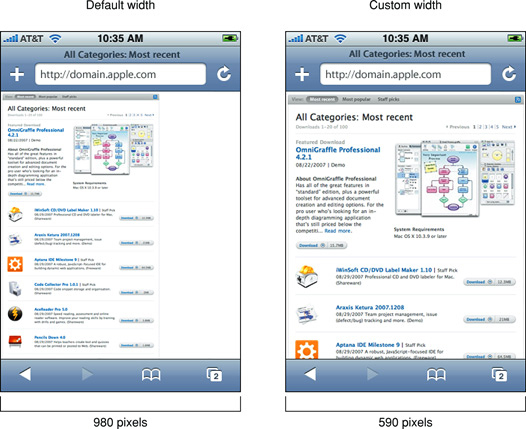 See “Supported Meta Tags” for a complete description of the viewport meta tag. 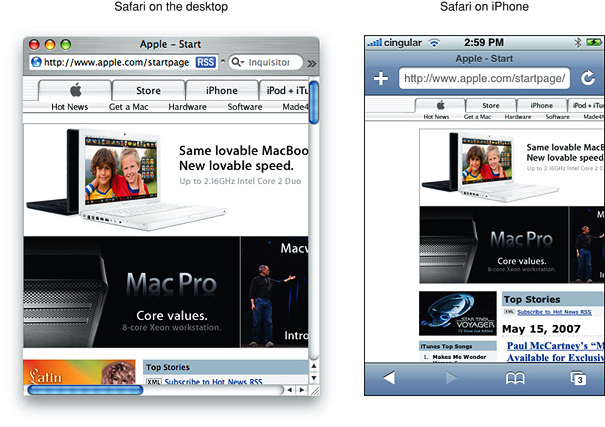 因为Safari for iPhone OS在网页顶部和底部增加了控件，你不能占用整个屏幕区域，纵向状态iPhone和iPod touch的网页可见区域是 320 x 356 像素，如图 Figure 1-1，在横向状态可见面积是 480 x 208 像素. 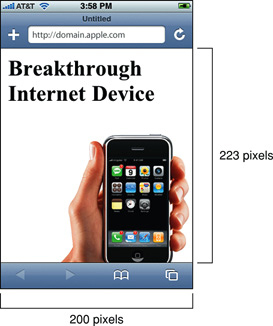 注意：虽然了解iPhone 和 iPod touch中的这些数值很有用，但你在使用时应该通过代码获取这些值，查阅 “视口元标签的使用” 学习如何使用viewport 元标签内容constants. 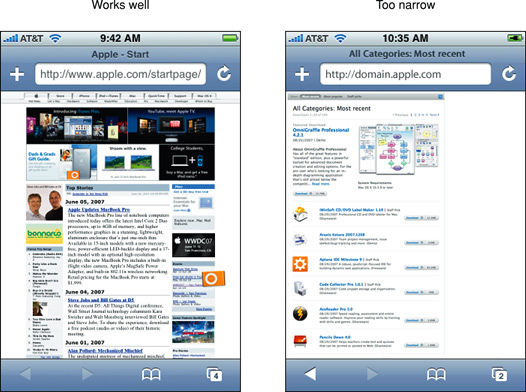 It is particularly important to change the viewport width for web applications designed for devices with smaller screens such as iPhone and iPod touch. 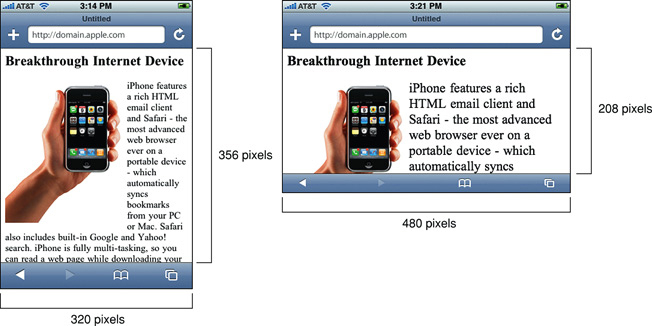 Figure 3-12 shows the effect of setting the viewport width to device-width. 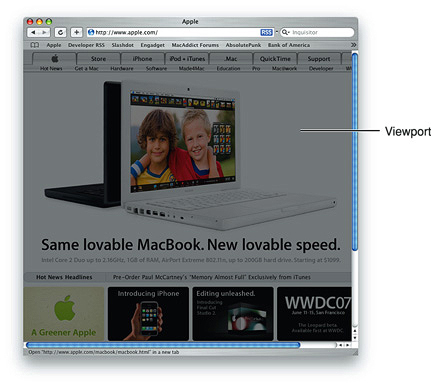 Read “Viewport Settings for Web Applications” for more web application tips. 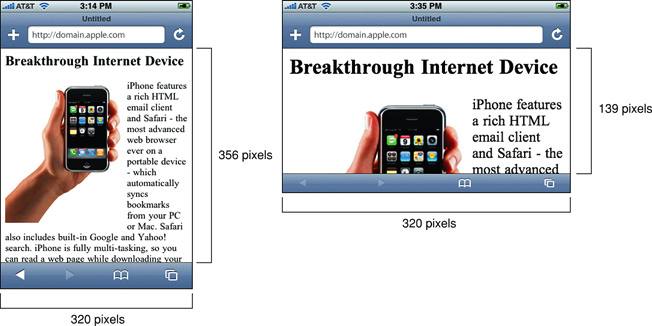 Similarly you can set the viewport height to match your web content. minimum-scale 和 maximum-scale 属性同样也会影响调整设备姿态时的行为，这两个属性的取值范围是 0 — 10，默认值是 0.25.